Classes in the library are FREE for our readers. Library offers free classes to all our readers who wish to develop their digital information literacy skills. All the branch libraries and departments of Tallinn Central Library offer library tours, private or group classes for our present and future readers, teachers, elementary and high school classes and kindergarten groups. Arrange the time and discuss the subject of a class by contacting the library. Pre-registration required for all classes and tours. Your needs, interests and desired outcome is specified in pre-registration. In case you register for a library tour then the time and subject of the tour will be determined upon pre-registration. If you have any suggestions or questions about classes write us at ls@nulltln.lib.ee. The class is meant for elderly persons with little to no computer skills. In pre-registration your prior computer experience is specified. Accordingly a personal training program is set up. Teach computer skills taking account of the prior experience of a reader. A reader who has passed the training is able to find necessary literature using e-catalog ESTER, find information on the Internet, use the library`s website and communicate over email. The training is meant for readers with little or no experience using ID card based e-services. Provide readers with necessary skills and knowledge that enable them to use different e-services independently. Distinguish between different e-Services and use them. The target is to introduce this highly popular online social networking service. You will learn how to create and use you FB account. Precondition for participation is Computer Prior Knowledge and an existing e-mail account. To provide basic knowledge and skills of further independent FB use. The participant knows different possibilities of using FB, is able to find pages of interest, contacts and communicate. Those who have passed FB basics course and all others who are interested can schedule a private lesson in a library. The private lesson enables the librarian to devote more time to specific questions which the user might have. The aim of the course is to give an overview of the possibilites of graphics tablets, share the user knowledge and experience with the participants to enable the further independent use of graphics tablets. In the class we use graphics tablet Wacom Intuos Pro M.
What does a graphics tablet do? How to connect you tablet to your computer? What are the basic design tools? What is a control panel, a stylus wheel and a stylus pen? The class is meant for patrons with no prior experience with eReaders. Provide the patron with skills and knowledge necessary for independent use of eReader. Functions: settings, library, files, screen brightness, web browser etc. 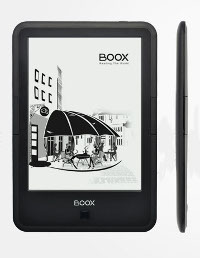 The participants can independently use eReaders. The goal of the training is to give a brief description of how the scanner Works, for what it is used and share the user knowledge and experience with the participants to enable the further independent use of the scanner. During this training you will get acquainted with the Table Scanner CanoScan LiDE 210. Things to consider when scanning photos? How to connect a scanner to a computer and how to use a scanner? What you can do with digitized photos? Best websites to upload your photos? To participate you have to pre-registrate in the Department of Literature in Estonian Reading Room or in Department of Literature in Foreign Languages. Knowledge and the ability to use internet and different information sources enables to find rapid answers to all questions emerging in everyday life. The knowledge acquired can be used in studies, work and leisure activities. The aim of the training is to give the reader knowledge and experience that will enable to find necessary information on a particular subject, book or article. Getting acquainted with Tallinn Central Library web site. Overview of possibilities and services the library has to offer and what kinds of materials are available. The participant can differentiate between sources of information and is able to use them. Library web page tutorials are conducted to help the readers understand different library services. choose between and use different Library services. How to start a family tree? You will learn the basics to start your family tree, get acquainted with additional resources such as data bases, bibliographies and SAAGA which containes digitized archive materials. The training covers audio tutorials for MS Office 2007 and MS Office 2010 and video tutorials for Libre Office. The librarians will help the participants if necessary. It is possible to go through the training program in all the departments and branch libraries of Tallinn Central Library using a computer in library`s computer Network or connecting your personal laptop to library`s wireless network. Pre-registration is required. You will get acquainted with the general principals and ways of operating these devices, helpful hints for using a Smartphone or a Tablet are given and suitable apps for download recommended. For what are those applications meant? How does a smart device simplify your life? What is Android, iOS and Microsoft Windows? What is an application and how to use it? What is mobile ID and how to use it? The participants can either use their own Tablet or librarys device Google Nexus 7 (16 GB). If you have any Smartphone questions to ask you have to take your smartphone with you. Library offers classes specifically aimed at job seekers. Where and how to register as a job seeker? How to make yourself visible to the employer? Which documents do you need to apply? How to prepare documentation for job application? Where to find corresponding literature?